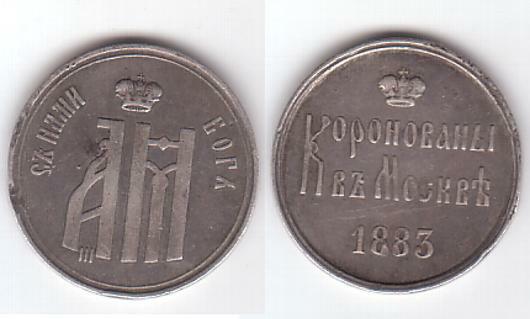 Silver medal issued to commemorate the coronation of Tsar Alexander III. Diameter: 1",or 25 mm. Weight: 6.0 gr. Silver coronation medal for Tsar Alexander III dated 1883.
shown,but highly desirable rare silver coronation medal.